Clodoaldo Silva (born 1 February 1979) is a Brazilian swimmer. He competed at the 2000 Summer Paralympics in Sydney, winning three silver medals and one bronze. He competed again at the 2004 Summer Paralympics in Athens, where he set four world records, five Paralympic records, and won six gold medals and one silver. He also represented Brazil at the 2008, 2012  and 2016 Paralympics,  and lit the Paralympic cauldron at the 2016 Summer Paralympics opening ceremony. The 2000 Paralympic Games were held in Sydney, Australia, from 18 to 29 October. In September 1993, Sydney won the rights to host the 2000 Paralympic Games. To secure this right it was expected that the New South Wales Government would underwrite the budget for the games. The Sydney games were the 11th Summer Paralympic Games, where an estimated 3,800 athletes took part in the programme. They commenced with the opening ceremony on 18 October 2000. It was followed by the 11 days of fierce international competition and was the second largest sporting event ever held in Australia. They were also the first Paralympic Games outside the Northern Hemisphere. Sydney is the state capital of New South Wales and the most populous city in Australia and Oceania. Located on Australia's east coast, the metropolis surrounds Port Jackson and extends about 70 km (43.5 mi) on its periphery towards the Blue Mountains to the west, Hawkesbury to the north, the Royal National Park to the south and Macarthur to the south-west. Sydney is made up of 658 suburbs, 40 local government areas and 15 contiguous regions. Residents of the city are known as "Sydneysiders". As of June 2017, Sydney's estimated metropolitan population was 5,131,326, and is home to approximately 65% of the state's population. The International Paralympic Committee is an international non-profit organisation and the global governing body for the Paralympic Movement. The IPC organizes the Paralympic Games and functions as the international federation for nine sports. Founded on 22 September 1989 in Düsseldorf, Germany, its mission is "To enable Paralympic athletes to achieve sporting excellence and inspire and excite the world". Furthermore, the IPC wants to promote the Paralympic values and to create sport opportunities for all persons with a disability, from beginner to elite level. Mayumi Narita is a Japanese swimmer, described as "one of the world’s best Paralympic athletes" by the International Paralympic Committee. Japan Today has described her as a "swimming sensation perhaps as great as the Thorpedo but whose name few know". She has won 15 gold medals at the Paralympics, and 20 total. The 2016 Summer Paralympics, the 15th Summer Paralympic Games, were a major international multi-sport event for athletes with disabilities governed by the International Paralympic Committee, held in Rio de Janeiro, Brazil, from 7 September to 18 September 2016. The Games marked the first time a Latin American and South American city hosted the event, the second Southern Hemisphere city and nation, the first one being the 2000 Summer Paralympics in Sydney, and also the first time a Lusophone (Portuguese-speaking) country hosted the event. These Games saw the introduction of two new sports to the Paralympic program: canoeing and the paratriathlon. Daniel de Faria Dias is a Brazilian Paralympic swimmer. Having learnt to swim in 2004 after being inspired by Clodoaldo Silva at the 2004 Summer Paralympics, he entered his first international competition two years later winning five medals. He competed in a wide range of swimming events at the 2008, 2012 and 2016 Paralympics and won 24 medals, including 14 gold medals. Joana Maria Jaciara da Silva Neves is a Paralympic swimmer from Brazil. She competed at the 2012 and 2016 Paralympics and won two silver and two bronze medals. In 2015, she became the first Brazilian woman to win an individual gold medal at the IPC World Championships, which she has done in the 50 m freestyle. The 2016 Summer Olympics, officially known as the Games of the XXXI Olympiad and commonly known as Rio 2016, was an international multi-sport event that was held from 5 to 21 August 2016 in Rio de Janeiro, Brazil, with preliminary events in some sports beginning on 3 August. These were the first Olympic Games ever to be held in South America and the third to be held in a developing country, after the 1968 games in Mexico City and the 1988 games in Seoul, South Korea. The Paralympic symbols are the icons, flags, and symbols used by the International Paralympic Committee to promote the Paralympic Games. Brazil made its Paralympic Games début at the 1972 Summer Paralympics in Heidelberg, sending representatives to compete in track and field, archery, swimming and wheelchair basketball. The country has competed in every edition of the Summer Paralympics since. 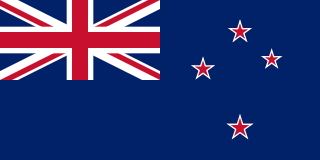 New Zealand competed at the 2016 Summer Paralympics in Rio de Janeiro, Brazil, from 7 to 18 September 2016. It was the nation's thirteenth appearance at the Summer Paralympics, having made its debut in 1968 and appeared in every edition since. Tonga competed at the 2016 Summer Paralympics in Rio de Janeiro, Brazil, from 7 September to 18 September 2016. Uganda sent a delegation to compete at the 2016 Summer Paralympics in Rio de Janeiro, Brazil, from 7 to 18 September 2016. This was the eighth appearance of the country in the Summer Paralympic Games after it debuted forty-four years prior at the 1972 Heidelberg Paralympics. Athletics track runner David Emong was the sole athlete representing Uganda in Rio de Janeiro. He took part in the men's 400 metres T45–47 competition on 8 September and did not qualify for the finals because he was fifteenth overall. Emong participated in the men's 1500 metres T45–46 event later that day and he took Uganda's first medal in Paralympic competition by coming second in the final. Ivory Coast competed at the 2016 Summer Paralympics in Rio de Janeiro, Brazil, from 7 September to 18 September 2016. The Gambia sent a delegation to compete at the 2016 Summer Paralympics in Rio de Janeiro, Brazil, from 7–18 September 2016. This was the nation's second appearance at a Paralympics, following their first participation in the 2012 London Paralympics. The Gambia sent one athlete, Demba Jarju, who failed to advance from his heat in the men's 100 meters T54 event. Afghanistan sent a delegation to compete at the 2016 Summer Paralympics in Rio de Janeiro, Brazil, from 7–18 September 2016. This was the nation's fifth time taking part in a Summer Paralympic Games. The Afghan delegation consisted of a single athlete, Mohammad Durani, who competed in the javelin throw. Originally he finished 16th in his event, but he was retroactively disqualified for a doping violation. Nepal sent a delegation to compete at the 2016 Summer Paralympics in Rio de Janeiro, Brazil, from 7–18 September 2016. This was the fourth time the nation had taken part in a Paralympic Games following its first appearance at the 2004 Summer Paralympics. Nepal was represented by two athletes in Rio de Janeiro: sprinter Bikram Rana and short-distance swimmer Laxmi Kunwar, who both qualified for the Paralympics by using wild card spots for their respective sports. Neither athlete advanced beyond the first round of their respective events as they both finished 17th overall in their competitions. 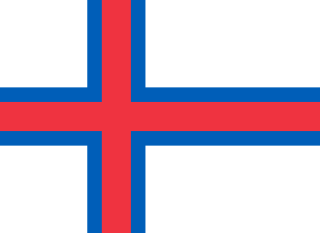 The Faroe Islands sent a delegation to compete at the 2016 Summer Paralympics in Rio de Janeiro, Brazil, from 7–18 September 2016. They sent one participant, Krista Mørkøre, who participated in three events in swimming. Her top finish was 10th in women's 400 m freestyle S10, and she did not qualify for the finals of any of her three events. 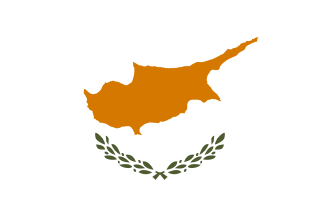 Cyprus sent a delegation to compete at the 2016 Summer Paralympics in Rio de Janeiro, Brazil, from 7 to 18 September 2016. This was the island country's eighth consecutive appearance in a Summer Paralympiad having made its debut at the 1988 Summer Paralympics. The Cypriot delegation to Rio de Janeiro consisted of two athletes: sprinter Antonis Aresti and short-distance swimmer Karolina Pelendritou. Aresti placed sixth overall in the men's 400 metres T47 event and Pelendritou came fourth in the 100 metres breaststroke SB13 competition after losing the bronze medal by 20 cm (7.9 in) in the final. The opening ceremony of the 2016 Summer Paralympics took place on the evening of 7 September 2016 at the Maracanã Stadium, Rio de Janeiro, starting at 18:30 BRT. The 2016 Summer Paralympics Torch Relay was a 7-day event leading up to the 2016 Summer Paralympic Games in Rio de Janeiro. It began on September 1, 2016, in Brasilia and concluded at the Games' opening ceremony on September 7. The Paralympic torch relay began with five individual flames being relayed to a city in each of the five regions of Brazil. These flames, as well as a sixth flame lit in Stoke Mandeville, Great Britain, were united to form a single Paralympic flame, which was relayed through Rio on 6 and 7 September 2016 en route to its lighting at the Maracanã during the opening ceremony. Wikimedia Commons has media related to Clodoaldo Silva . 1 2 3 4 SILVA Clodoaldo. infostradasports.com Archived 3 March 2016 at the Wayback Machine. ↑ "Rio Paralympics 2016: Brazil president booed at opening ceremony". BBC Sport. Retrieved 8 September 2016. This biographical article related to a Brazilian swimmer is a stub. You can help Wikipedia by expanding it. This article about a Paralympic medalist of Brazil is a stub. You can help Wikipedia by expanding it.